Here is the original stone from the tomb of St. Geneviève, patron saint of Paris, who died ca 502 AD. 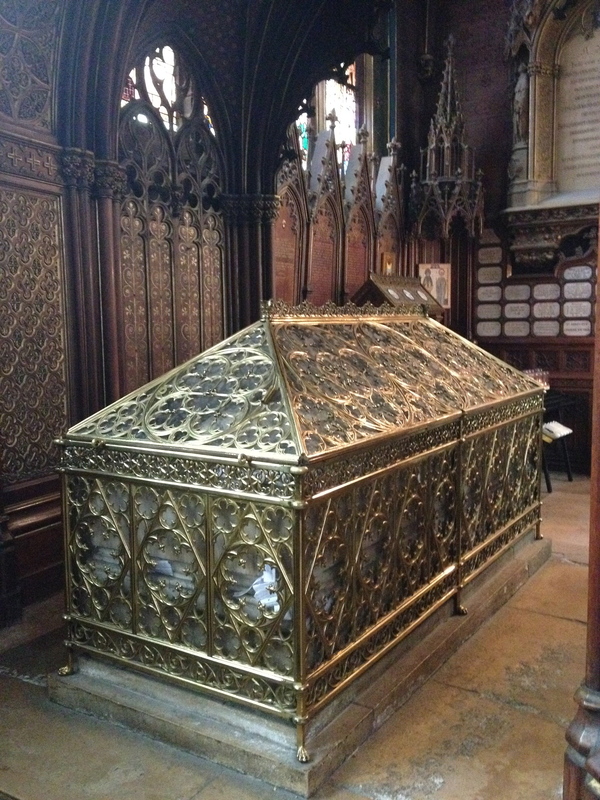 Her crypt was dug up during the Reign of Terror, her bones were burnt, and the ashes dumped into the Seine. Published: June 20, 2014 Dimensions: 2448 × 3264 Posted in: Paris Gallery Post a comment or leave a trackback: Trackback URL.